Sandra Brady, world renowned scrimshander, has had her work featured in museum exhibitions, numerous books and periodicals, and is a quintessential artist in many private collections. 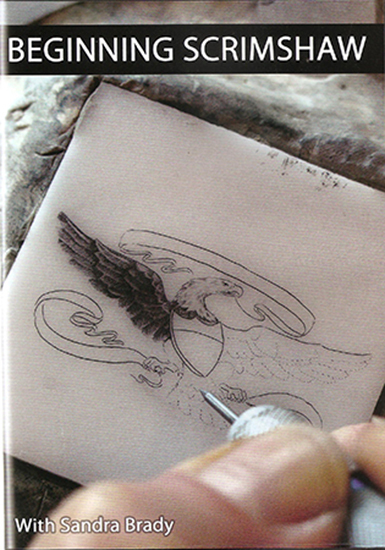 Learn traditional and contemporary mehtos of scrimshaw. Learn step by step to achieve your artistic goals. Materials -? Scribe Sharpening - Transfering Designs - Hand Etching - Machine Etching - Working in Stipple - and MUCH more. 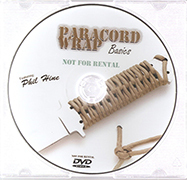 DVD is also avalible with the Deluxe Starter Scrimshaw Kit! Micarta-Canvas - Brown Piece 12" X 5" X 3/8"